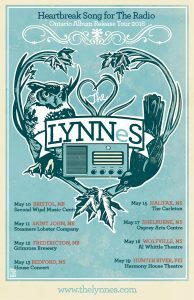 The LYNNeS (Ottawa’s Lynne Hanson & Lynn Miles) will be touring the East coast from May 10 – 19 to celebrate the release of their brilliant debut release Heartbreak Song For The Radio. DJ’s and reviewers across Canada and beyond have been raving about this collaboration, exquisite songwriting, and masterful delivery. The LYNNeS are Canadian heartbreak poets Lynn Miles and Lynne Hanson. The two songwriters are not new to working together, having toured and written songs off and on over the past 10 years, and with Miles having produced two of Hanson’s albums (River of Sand, 2014 and 7 Deadly Spins, 2015). 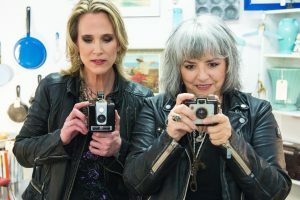 For The LYNNeS, songs are what matter the most, and their debut album Heartbreak Song For The Radio pairs hauntingly gritty lyrics with tight vocal harmonies.